My brothers, I was struck by that comment of Sister Nun. Because it is the point that the Pharisees missed as we heard from the gospel today, to be a friend of Jesus, to love him as he is, but no, they were threatened by his presence. They were so caught up with their 613 Jewish precepts, 365 of them are prohibitions as many as the days of a year, and 248 of them are commandments as many as the components of our human body, according to one Bible scholar. 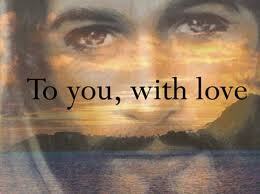 Jesus made a synthesis out of 600 or so precepts, “Love God with all your heart, with all your soul and mind. And Love your neighbour as you love yourself.” That’s the point of all those do’s and don’ts for the Pharisees. It’s sort of saying, LOVE the persons and use the things. But you were doing the opposite; you LOVE the things and Use the persons. And what can we make out of this? Love God and others as well as ourselves. This is the vision of God and our mission too: TO LOVE. So if we are friends of God, then he’ll let us look through his vision, which is depicted in the very life of Jesus. Likewise, to love our neighbours, we also need to at least establish a bond of friendship with them. Sometimes, it seems impossible to be a friend to everyone. But See Ezekiel in the first Readings today, they’re having sort of a short walk with God on the valley, and both of them saw the same thing: dry, lifeless bones all over the place. But God said, mortal can these bones live?” Do your share, prophesy to them, and I will do my part as well. I will give them life. And we know the rest of the story. God RE-membered all those DIS-membered bones there. I presume we all love God here. But how are we as friends of God? Are we always a good friend for Him, or we are just using him as our benefactor friend whom we can go to anytime we need anything?